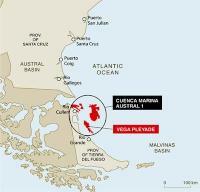 Total has started up production at the offshore Vega Pleyade gas and condensate field in the Tierra del Fuego region of Argentina. Operated by Total, the project will have a production capacity of 10 million cubic meters of gas per day (70,000 barrels of oil equivalent per day (boe/d)). 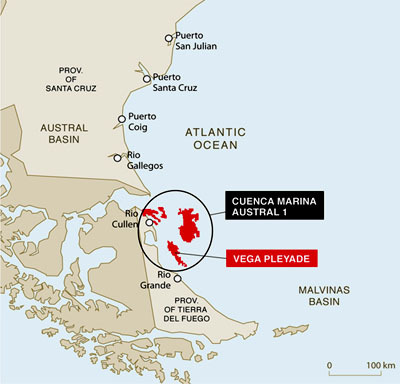 The Vega Pleyade development consists of a wellhead platform in 50 meters water depth, tied back via a 77 kilometer offshore pipeline to the Total-operated Rio Cullen and Cañadon Alfa onshore treatment facilities, and was completed in just two and a half years.